Modern bathrooms have progressed from a space to quickly finish your daily cleaning and washing into a relaxing, meditative sanctuary where you can unwind and refresh your body and mind after a long day. To complete your new oasis, a bathtub is an integral component in creating the perfect family bathroom you love to spend time in. While no longer a necessity in family homes, a bathtub is still a smart investment for families with young children or adults that value their long, personal soaks. If you are renovating your bathroom, incorporating a bathtub into your new layout can add not only function but high-impact style that will transform your space into the perfect escape. When choosing your bathtub, first consider what type of bathing experience you value. 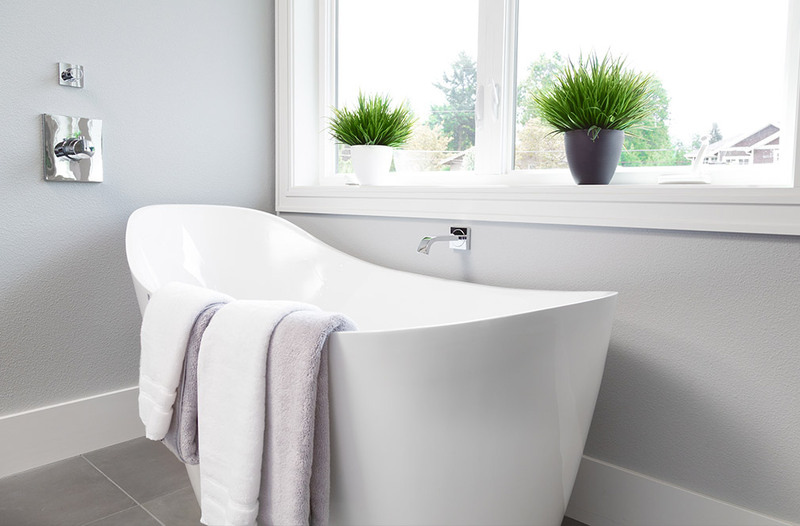 If you enjoy long, uninterrupted soaks, standard bathtubs are available in thousands of different sizes, materials, and added features at Henry Kitchen & Bath to provide you the best soak for your preferences. For bathers that want an invigorating and refreshing bath, the jets in a whirlpool bathtub deliver a therapeutic, massaging experience. The amount of available space is also an important consideration in deciding which tub is right for your bathroom. As one of the largest bathroom fixtures, a bathtub’s broad size occupies a substantial amount of floorspace, so be sure to work with one of the experienced designers at Henry Kitchen & Bath to choose a tub that not only fits comfortably in the layout but also allows for easy maneuvering around the bathtub. For bathrooms with limited space, a corner bathtub offers a space-saving solution while still providing all the benefits of a tub. For large master bathrooms, a soaking tub is deeper, wider, and can hold significantly more water than a standard bathtub for a truly luxurious, spa-like feel. Finally, one of the most important factors in selecting your bathtub is the style because, as one of the largest fixtures in a bathroom, it can set the tone for the overall look and aesthetic of the room. Clawfoot tubs offer a grand, traditional look that has been popular since the 1800s. When placed strategically, a free-standing tub can become a focal point in your bathroom, delivering equal parts drama and function, while alcove or corner tubs come in thousands of finishes that seamlessly integrate into your bathroom’s aesthetic and space. 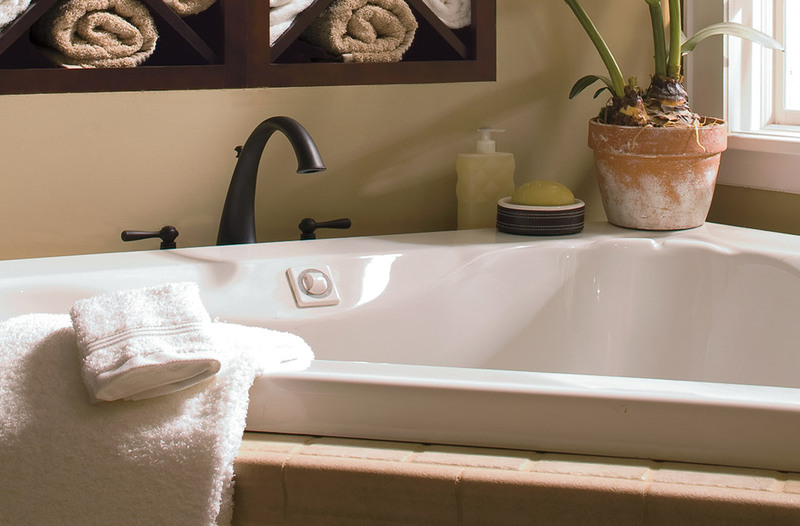 If you want to create a truly spa-like experience in your bathroom, a whirlpool bathtub is a necessary investment. The whirlpool tub’s jets are strategically positioned near major muscle groups to help reduce muscle soreness, alleviate joint pain, and provide a truly massage-like experience. Not only does a whirlpool bathtub provide many relaxing and therapeutic bathing options, they also come in a variety of styles such as drop-in, alcove, and free-standing, so you can easily incorporate a whirlpool tub into your bathroom’s style and layout. Unlike a standard bathtub, a free-standing tub is designed to be self-supporting and can serve as a focal point in your bathroom design. For a traditional style home, a clawfoot tub with legs that match your existing hardware creates a striking and dramatic feel. In a modern, minimalist bathroom, a sleek, free-standing tub can serve as an impactful focal point that anchors the rest of the design. No matter what style you prefer, Henry Kitchen & Bath has a wide variety of free-standing tub to perfectly complete any bathroom. 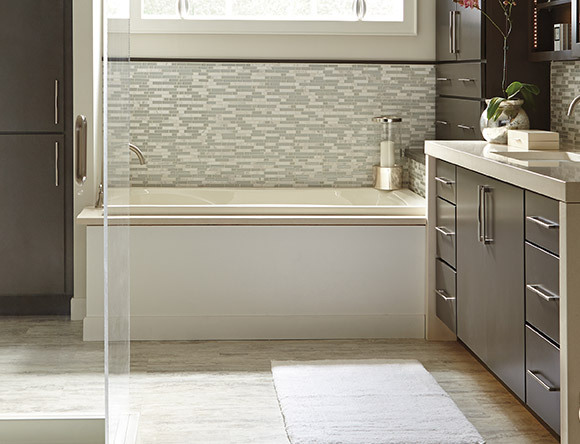 Henry Kitchen & Bath has thousands of bathtub options from the industry’s top brands, so you can create the perfect oasis for escaping the responsibilities of everyday life right in your home. 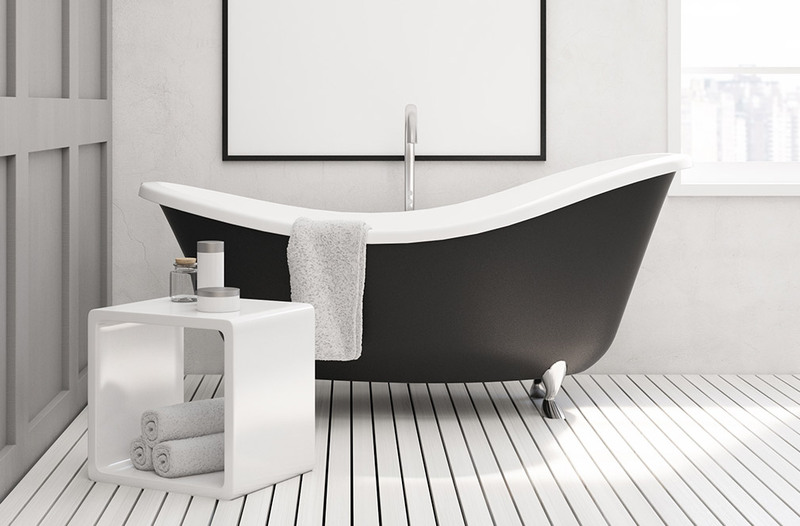 A bathtub can improve the overall functionality of your bathroom, whether you use your tub to enjoy long, relaxing soaks or quickly wash-up your children and pets before heading out the door. Our experienced designers will work with you and your family’s needs to find the perfect bathtub from our vast catalog that will complete your design vision and work for your family for years to come. 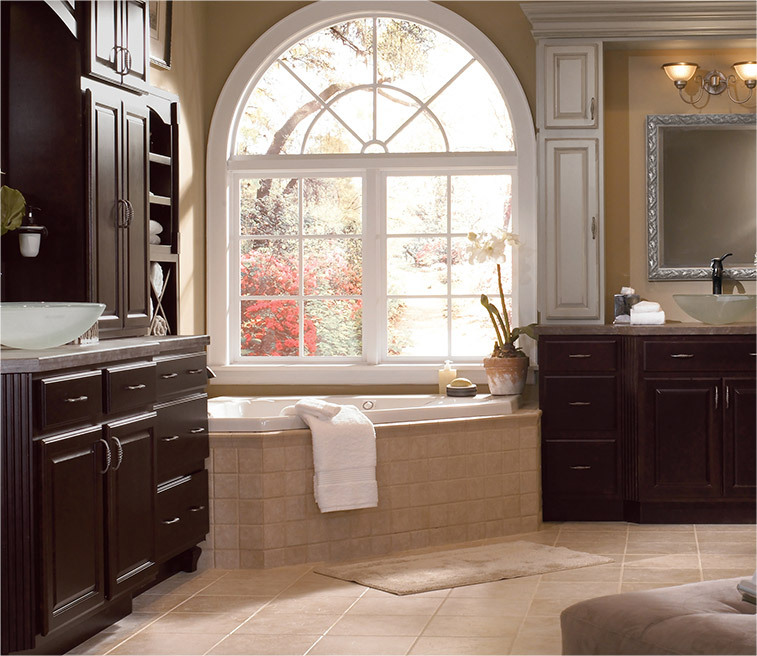 Choose Henry Kitchen & Bath for your next bathroom remodeling or renovation project – We can make your dream bathroom a reality!